Forget BB Creams, Have You Gotten Your CC Creams? The craze over BB creams is slowly dying down and cosmetic brands are jumping at CC creams which claim to "color correct" every skin discoloration and blemish. 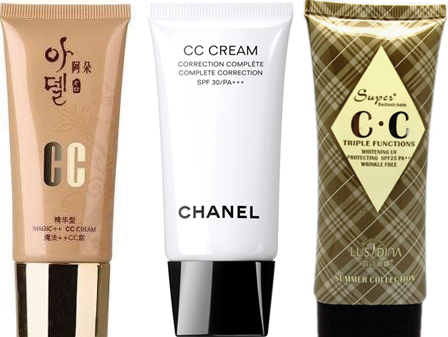 CC creams are anti-oxidant, tinted products that were first seen in the Asian markets. The difference between BB and CC creams is that CCs carries a higher SPF all the while being lighter weight than the former. Olay has just came out with it's own CC cream this month while Chanel Complete Correction Cream is hot in Asia. It's making it's debt in the US very, very soon. I am particularly interested in seeing Clinique's version of the CC cream that they are preparing to launch within the next few months. Now it's your turn, are you into BB creams? Would CC creams interest you? Or are you just over the whole trend in general? Let me know your thoughts in the comments below.